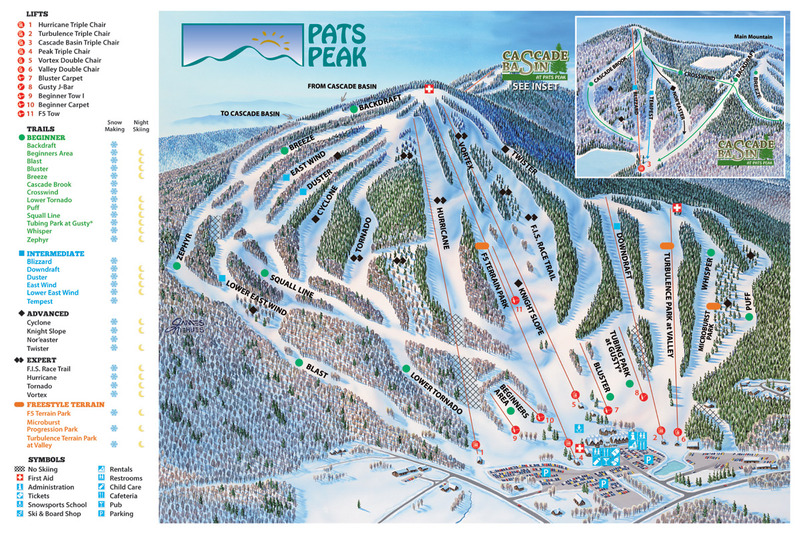 Pats Peak is a famous skiing resort about 1.5 hour driving from Boston. WeForm.net provides lift, rental, lesson, camp on selected dates. You may save up to 42%. Select ski date, time, item and submit. Pay before deadline and print or save receipt. Arrive during check-in time with your receipt at our reserved table "WeForm" in Valley Lodge above the rental shop. If you can't find us, please use your number and name to pick up tickets at group check in shack or main service office. If you have rental, please go to the rental shop downstairs with your skiing ticket and pre-filled rental form in receipt. Valid only on selected date. All tickets are non-changeable within 48 hours of ticket starting time. Please choose the correct type of ticket according to age and equipment rental. Limited 2018-2019 season pass. Ski any time. Please provide your name and birth date. We will notify you when it is ready to pick up at the main service desk in 1-2 business day. 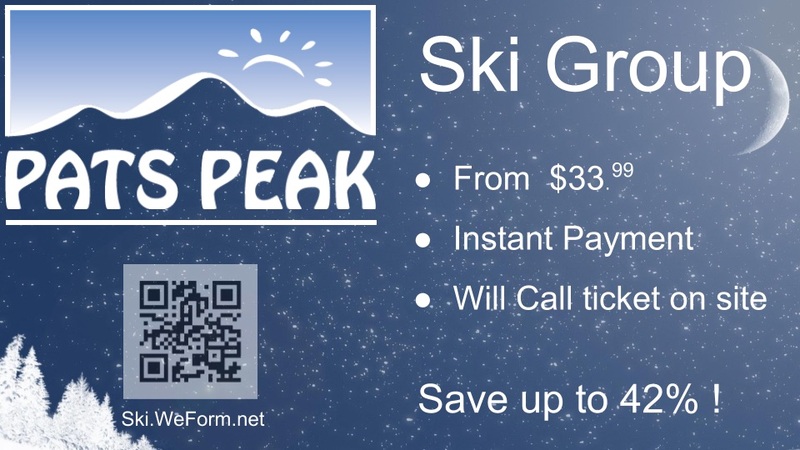 POP (Pay-One-Price) is the most affordable night skiing in all of New England! Group POP is at least $15 cheaper than the general POP and closes at 9pm or 10pm. POP rental includes: Boots, Ski & Poles or Snowboard but no helmet. Rental starting time is the same as the ticket time. POP includes Lesson Tips in the Beginners Area from 4pm to 6pm. 6 year or above requires POP ticket, including all trail lift with the option of rental. Ticket types for adult, 6-17 Junior and 5 year under. Rental includes: Boots, Ski & Poles or Snowboard but no helmet. Optional group lesson at 11:30am. Optional starter special including rental, 11:30am group lesson and lower mountain lift ticket for the Beginners Area, Bluster Area and Valley Chair Lift Area (the most right two lifts facing the mountain) only. Snowtubing is sold separately as add-on below. $59.00 Save $15.01 (25%) Includes snowtubing from 5pm. $59.00 Save $25.01 (42%) No Equipment or Snowtubing. $89.00 Save $7.00 (8%) Lower Mountain Lift, Rental & 11:30am Lesson. $79.00 Save $5.00 (6%) Lower Mountain Lift, Rental & 11:30am Lesson. 5 Year or under requires free ticket and may rent equipment. $32.00 Save $9.01 (28%) Includes free child ticket. You may choose one day bear club or 3 day camp on weekend or holliday, including coach, lunch and lift tickets but no rental or helmet. 3 day camp is only for MA vacation week 2/18-2/20 and NH vacation week 2/25-2/27. Please select any date between 2/18 and 2/25 and camp time to show option. They are sold out quickly and please reserve ASAP. It is for 6-14 yrs old only and is from 8:30am to 3:30pm. If you don't have equipment, please buy the rental item below. Your receipt will include a pre-filled bear club form. Please sign and bring it. Please put your kid's name on clothes and equipment and prepare a snack. Please arrive between 8:30am and 9am and go directly to the Bear's Den (the small building beside the #7 Bluster carpet). Lessons leave promptly at 9:30am for the morning session and 1pm for the afternoon session, therefore NO late arrival are accepted. Lunch is from 12pm to 1pm. Parents pick up children at 3:30pm. 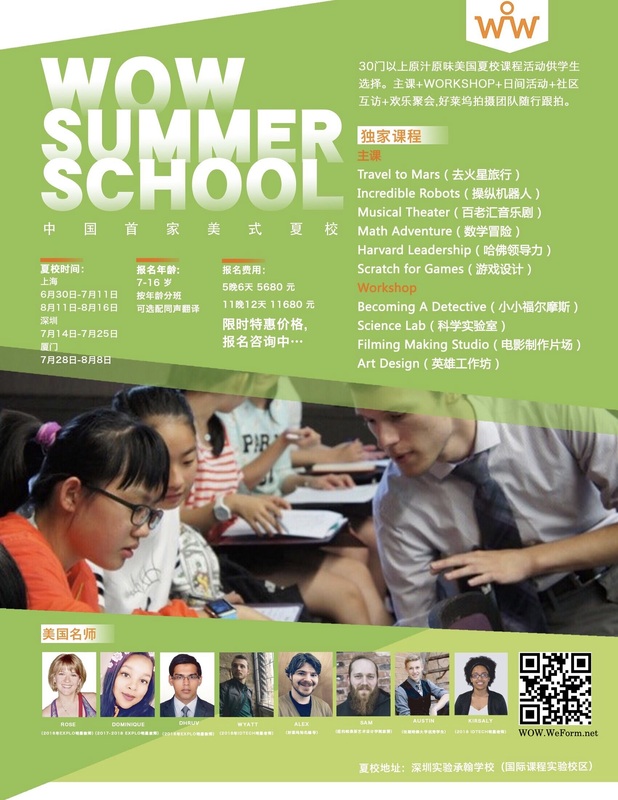 Space is limited and registration may close early. Sorry, no refund. $120.00 Save $20.01 (17%) Must be 6-14 year older. No rental or helmet. $330.00 Save $41.01 (12%) Must be 6-14 year older. No rental or helmet. $120.00 Save $51.00 (43%) Must be 6-14 year older. No helmet. Group lesson is only for 6 years or older and lasts about one hour. Please select lesson level based on Levels. Please arrive at least half hour before lesson starts. Sorry, no refund. Lessons don't include lift or rental. You may buy separately. $40.00 Save $12.00 (30%) 6 year or older only. $50.00 Save $12.00 (24%) 6 year or older only. Includes one hour step up fee $10. $40.00 Save $12.00 (30%) 6 Years or older only. Beginner level 1-2 Only. Don't be late. 6 yrs above can rent equipment only and use the beginner area carpet for free. Helmet is not included. Please bring your own or rent for your own safety. $40.00 Save $12.01 (30%) Includes free beginner area ticket. $15.00 Save $1.01 (7%) One time use and valid this season only. How many people need rental? Your receipt will include prefilled rental form. If you need more than 5, you may print blank form and fill in manually. If you rent, you need print paper rental forms. Please find match on public page. Oil share recommended. It is free to return and refund your tickets if it's more than 48 hours before the ticket starting time - except for non-refundable camp reservation. Within 48 hours, your may choose one of the following refund options. If you don’t show up after check-in time, we won’t be able to issue any refund. All refunds will be processed within 3 business days of ticket starting time. Option for ticket refund within 48 hours prior to ticket starting time. Peace of Mind option $1.99 - use contact us link in the bottom of this page to refund before ticket starting time. $1.99 fee is non-refundable. Camp reservation is non-refundable. I agree to pay a handling fee of $20 per order. If you want to find friends to ski together, please leave public comments such as your contact information and kid's age. They will be shown on public page. 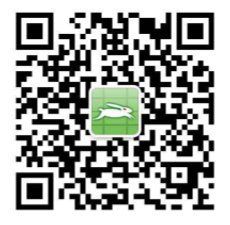 - Fee of 2.9% + $0.39 per transaction applied. Safety is No. 1 in the sports of skiing fun. Please follow rules and helmet is strongly recommended! You are responsible for your own safety. Before you ski - check local weather, beginner's guide, live cam, schedule, trail map and prepare skiing clothes, pants, socks, helmet, ski mask, goggles, mittens, hand/toe warmer, water and foods, sunscreen etc. While you ski - free WiFi: PatsPeak-Guests, password: hurricane. Both lodges provide free microwave, charging ports and free baggage service. Payment is required for ticket reservation. We reserve the rights to cancel order due to non payment, insufficient persons or any other reason. Full refund will be issued within 24 hours. Your ticket is transferable and may be picked up by another authorized person. 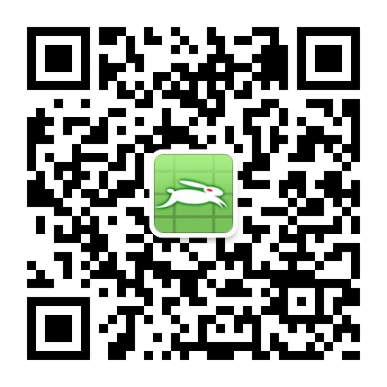 Please forward your QRcode ticket. Q: What's our group name? A: If you haven't paid, you may change or cancel any time but please make sure to complete payment before deadline. If you already paid, please use the inquiry link to contact us. Please see our refund policy above. A: Yes, the deadline will be shown on this page. We may adjust the deadline considering user demand and our feasibility. We suggest you sign up ASAP. Q: I'm a beginner. How can I buy ticket? A: If you plan to ski only in the beginner area, you may buy free beginner area ticket, rental only or group lesson. Q: What are the free lesson tips and what's the difference from group lesson? A: Lesson tips are free instructions from 4pm-6pm during POP. You may ask instructors to help you ski. It's shorter than the group lesson and no specific instructor is assigned to you. Q: How do I fill in rental form for more than 5 persons? A: Please fill in rental form for up to 5 persons when you submit order and you will be able to print pre-filled rental forms in your receipt. If you have more than 5 persons, please print blank rental form and fill in manually. Q: Is there hotel nearby Pats Peak? A: Yes, there are several good hotels in nearby Concord, NH and they are about 20 minute driving. We recommend Hampton Inn, Residence Inn, Fairfield Inn, which include free breakfast. Q: Is there any other event while I ski? A: Yes, there is bonfire outside and also live band play in Sled Pub every Saturday from 4pm to 9pm. You may check Event Calendar. Q: Is there kids program? A: Yes, we provide 1 day or 3 day camp for 6-14 yrs on weekend or holiday. Please select camp time to show options. Q. Do I need ticket if I don't ski? A. No, you don't need ticket while you are waiting in the lodge or enjoy the mountain viewing.